Thales Canada this week announced the successful completion of trials of its COMMANDER C3 solution for a Canadian maritime situational awareness project. The company completed both harbour acceptance trials and sea acceptance trials for the first phase of the Interdepartmental Maritime Integrated Command, Control and Communications (IMIC3) project. The system will integrate Canadian Coast Guard (CCG) and Royal Canadian Navy (RCN) assets to deliver a shared, fully integrated national maritime picture (NMP) using COMMANDER C3. The first phase trialed the integration of shore-based IMIC3 systems with portable systems and systems aboard CCG vessels using the IRIDIUM satellite communications network. Through COMMANDER C3, the CCG was able to achieve an integrated maritime picture, improving awareness of shipping activity and providing a background for deeper analysis of trends and vulnerabilities. Phase two trials are scheduled for later this month and will focus on integration of the RCN’s Kingston-class vessels with the IMIC3 system over the INMARSAT satellite communications network. Acceptance of the system is scheduled before the end of the year, with the full system to be deployed on 44 CCG and 12 RCN vessels thereafter. The NMP goes beyond just sharing data, to providing an awareness of the volume, location and nature of shipping activity and provides a background for deeper analysis of trends and vulnerabilities, Thales Canada said in a press release. 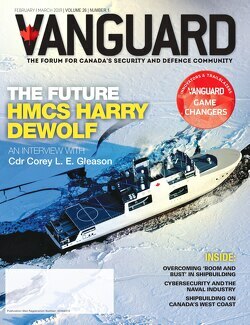 “This is an excellent example of Thales Canada’s capabilities as a lead system integrator to bring new technology into play for the Royal Canadian Navy and Canadian Coast Guard, providing an interdepartmental unprecedented integrated C3 capability for both fleets,” said Mark Halinaty, president and CEO.